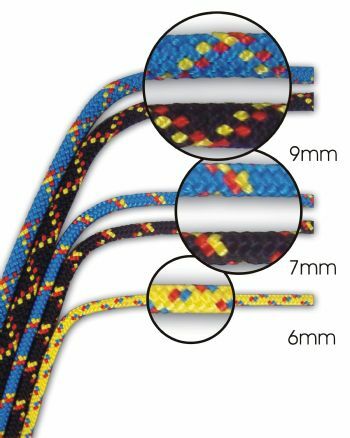 Polilite - designed and produced by Rooster Ropes. It has been used to good success by Robert Schedit to win the Mexico Laser Worlds in 2000 and to win a bronze at the 2000 Sydney Games. The 6mm version took first and second at the Sydney Games, and Gold in Athens 2004. Often sold by the meter.